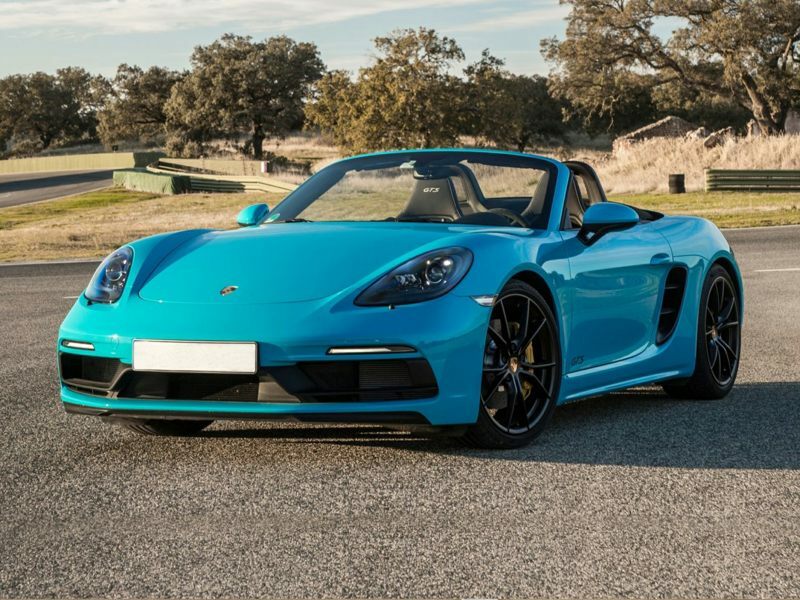 The 2019 Porsche 718 Boxster is a 2-door, 2-seat Convertible, available in 3 trims, ranging from the Base to the GTS. Upon introduction, the $59,000 Base is equipped with a standard 2.0L, 4-cylinder, engine that achieves 21-mpg in the city and 28-mpg on the highway. a Manual transmission is standard. The $82,800 GTS is equipped with a standard 2.5L, 4-cylinder, engine that achieves 19-mpg in the city and 25-mpg on the highway. a Manual transmission is standard. Back when the brand focused solely on sports cars, new Porsche pictures were best used for detailing the slow but steady evolution of the 911, which retains its iconic shape and rear-engined configuration even today, more than half a century after it first hit the market. Selection of new Porsche pictures extends to a range of vehicle types, from the Porsche Panamera sport sedan to a growing family of high-performance crossovers. The automaker offers a surprisingly robust assortment of powertrains, too, as engineers look for new, greener ways to bring Porsche performance to more owners. So, in addition to high-powered gasoline engines, Porsche products currently showcase alternative-fuel solutions like diesel and hybrid engine systems. The latter technology, in fact, is the centerpiece of the brand's new supercar, the Porsche 918 Spyder, and is expected to be a key advantage for the company when it returns to the famed 24 Hours of Le Mans endurance race in 2014 after a 15-year hiatus. But along with adding to its industry-record 16 Le Mans titles, Porsche also plans on adding to its industry-leading haul of third-party quality awards. Consider: In 2013 alone, Porsche was named the No. 1 brand in the J.D. Power and Associates Automotive Performance, Execution and Layout (APEAL) Study, winning for the ninth straight year, while also claiming overall victory in Powers’ Initial Quality Study and AutoPacific’s Ideal Vehicle Awards ratings. Further, the vehicles shown throughout our new Porsche pictures also combined for eight segment victories in those three studies.